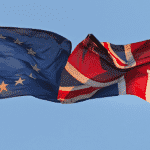 The Biometric Residence Permits (BRP) are for overseas applicants in the UK. You’ll have to apply for a BRP as part of your application for entry clearance (a visa to enter the UK), to extend your visa or settle in the UK. 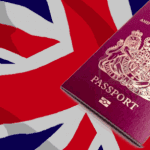 The biometric residence permit is proof of the holder’s right to stay, work or study in the United Kingdom. It can also be used as a form of identification (for example, if they wish to open a bank account in the United Kingdom). The holder of a Biometric Residence Permits is not required to carry their permit at all times, but they must show it at the border, together with their passport, when travelling outside of, and when returning to, the United Kingdom. The Home Office under EU law have had a duty to roll out these Biometric Residence Permits and have slowly been implementing it. 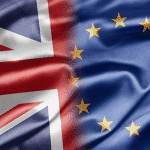 The regulations require non-EEA nationals, seeking permission from overseas to enter the UK for more than six months, to apply for a Biometric Residence Permit (BRP). This was first achieved with in-country applications and was then rolled out to entry clearance applications that now require the issuing of Biometric Residence Permits. 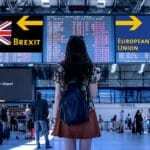 The visa application procedure will remain largely unchanged except that instead of having a visa vignette affixed to the travel document showing the full leave period granted, there will be a short validity “travel” vignette that will allow the applicant to travel to the UK and to collect their BRP. Successful applicants will receive a letter informing them of the decision, which will also include notification that they must collect their BRP from the designated Post Office branch within 10 days of arrival in the UK. The visa fee is not being increased as a result of the introduction of overseas applications for a BRP. This initiative was be rolled out in phases country by country over a four month period, which was expected to be initiated in March 2015, once the parliamentary process was completed. – Apply online for the visa to the UK that you want. – During the visa application process online, you will be asked which post office will be closest to you, when you arrive in the UK, to collect your Biometric card from. – Remember, you must pick up your biometric card within 1 month of entering the UK. You can read more about Biometric Residence Permits: BRP overseas applicants FAQ.